YouTube Red is live now. 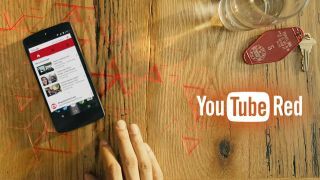 YouTube Red is live now - if you live in the United States - and you might be wondering just why you should shell out $10 to take all the ads away from the video sharing site and access some exclusive content at the same time. Well, wonder no longer: one of YouTube's biggest stars has laid out the pros of the new service in a blog post on Tumblr. PewDiePie (real name Felix Kjellberg) says the move is an obvious response to the growing use of ad-blocking software on the web. "YouTube Red exists largely as an effort to counter Adblock," writes the vlogger. "Using Adblock doesn't mean you're clever and above the system... using Adblock has actual consequences." PewDiePie does say he's "okay" with people using ad-blocking apps on his own channel - but the effect on smaller channels can be "devastating". PewDiePie also shares some statistics from his own dashboard: apparently 40 percent of the people who view his videos are making use of ad blockers, a figure that has risen in recent years. He admits there are "important questions" about YouTube Red - such as whether $10 is the right price - but says "it's more important that we understand what the actual problem here is." Of course YouTube Red is about more than blocking adverts: you also get access to exclusive content (some of which will be provided by PewDiePie himself together with YouTube's other major stars), background listening on mobile devices and a subscription to Google Play Music thrown in as well.